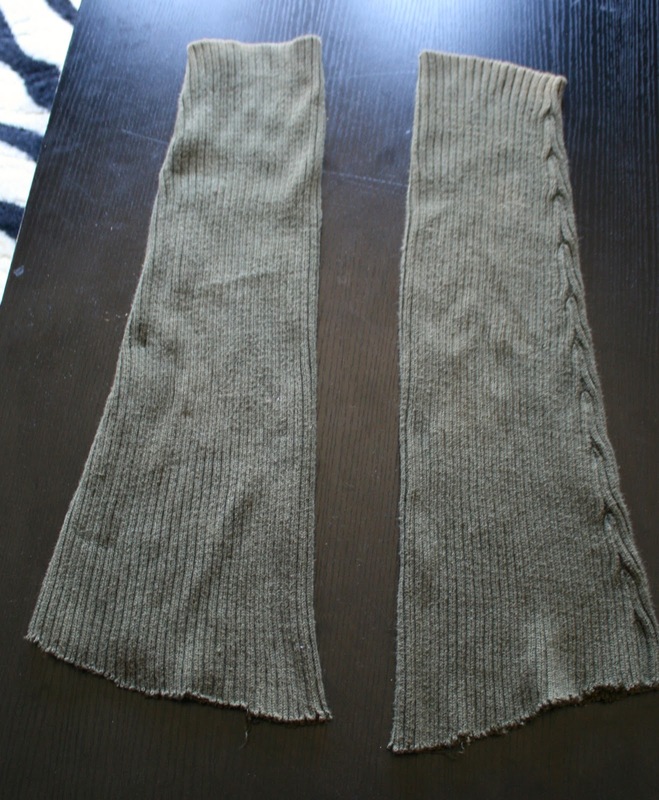 I've POSTED about making legwarmers before, but I decided to give it another go as I was inspired by that adorable pair. I added some ribbon to mine for a little extra cuteness factor, though I wish I had used a wider ribbon. This was all I had on hand, though. The end! You probably won't hear from me for the rest of the week. I promised myself that with the extra work load, I'd go down to only blogging 3 days/week for the summer. Ha. I think I did 4 days/week a couple of times, but that's the closest I've come so far! I'm going to give it a whirl this week just to see if I can do it or if I need to join some sort of blogging-addition therapy class. We'll see. Have a great day! All the best and as always, thanks for reading! Thank you! I loved them so much that I bought them in both colors! Ahh- goodwill is the answer then! You can get sweaters there for a couple of bucks. My hubs changed sizes, so he has clothes galore he can't wear anymore that I'm allowed to DESTROY! It's fantastic. Thanks so much for reading! Love your blog and FB page. 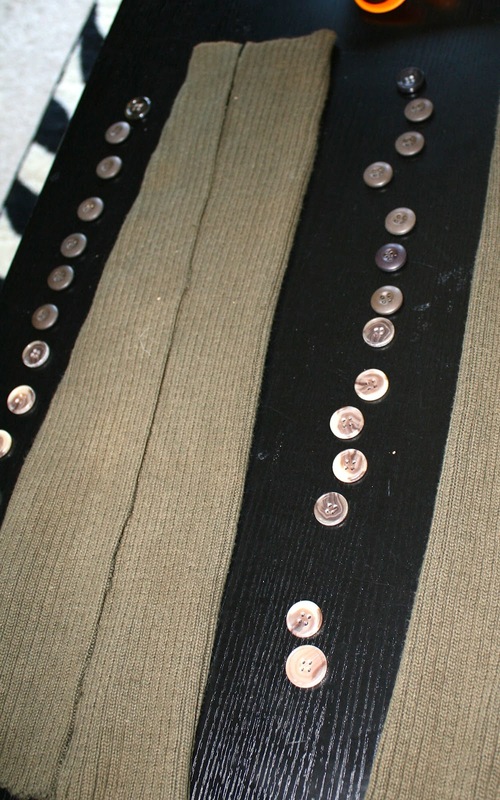 What a great idea and cute creation with the sweaters! Let's give a try this winter and I let you know! Thanks a lot for your nice explanations! I just cannot begin to tell you how grateful I am for this post! You've made my entire Fall season :D Also, I have to Second the question: Where di you get those BOOTS!!!! They're to die for!!! Thanks, Jeanine! They are Spring, I got them about 4 or 5 years ago, and they're starting to show bad wear. My heart is broken! WOW!!!! These are AMAZING!! Thank you sooo. Much! 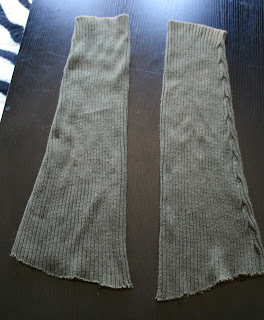 The Leg Warmers I have Ben looking at for the last two years, are out of my tiny budget! I can now DIY THANKS TO YOU!!!!! I cannot tell you how much I appreciate this! Awesome! We can have a "tiny budget" club :) it inspires everything I make! If you don't want to use ribbon do you just not cut them? Where do you cut exactly, down the seam or somewhere else? Hi Hannah! It depends on how big the sleeves are. This was my husband's sweater so they were too baggy to fit my legs. If your sleeves are tight enough to stay up- that's great! You can cut on the seam, or anywhere else. It doesn't really matter :) but cutting on the seam would be a little more clean looking. Hope that helps! Thanks so much! I wasn't even thinking about it being a guys sweater and then being to big. One more question (maybe lol), if I do have to cut do I have to use a ribbon to reattach or could I just glue to sweater? Maybe I'm not understanding the picture and instructions but do you have to have the ribbon sticking out or is that just for style? Can I use sweatshirts were the wrist is a lil smaller. Like cut that part off?